If you are not clear about where you want to go, getting there can be a challenge! Our Goal Setting workbooks help students map out the key areas of their current lives and their goals for academic achievement. This product will step Year 6 through the skills needed to set and manage effective goals (40 pages). If you are not clear about where you want to go, getting there can be a challenge! Our Goal Setting workbooks help students map out the key areas of their current lives and their goals for academic achievement. Suitable for middle school students. Can be given to students to use independently or used in form class at school or at a study skills day (40 pages). If you are not clear about where you want to go, getting there can be a challenge! Our Goal Setting workbooks help students map out the key areas of their current lives and their goals for academic achievement. Suitable for senior school students. Can be given to students to use independently or used in form class at school or at a study skills day (40 pages). ‘Starting Secondary School’ is the first resource available in the ‘Helping students be Effective Learners Program’. This resource targets students starting high school – Year 7. If you want to help your students get organised for high school, manage their time efficiently and learn the secrets to achieving their personal best, this 10 page resource is for you. If your school subscribes to www.studyskillshandbook.com.au (check here) you do NOT need to purchase this resource it is free on the handbook site (visit the ‘Things to Print’ page). ‘Approaching Assignments’ is the second resource available in the ‘Helping students be Effective Learners Program’. This resource targets students in the early years of high school (Years 7,8 or 9). If you want to help your students develop the skills they need to approach their assignments effectively, this 10 page resource is for you. 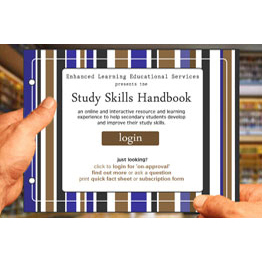 If your school subscribes to www.studyskillshandbook.com.au (check here) you do NOT need to purchase this resource it is free on the handbook site (visit the ‘Things to Print’ page). ‘Research Skills is the third resource available in the ‘Helping students be Effective Learners Program’. If you want to help your students develop their research skills, this 10 page resource is for you. If your school subscribes to www.studyskillshandbook.com.au (check here) you do NOT need to purchase this resource it is free on the handbook site (visit the ‘Things to Print’ page). ‘Home Study Environment’ is the fourth resource available in the ‘Helping students be Effective Learners Program’. If you want to help your student set up an effective home study environment, this 10 page resource is for you. If your school subscribes to www.studyskillshandbook.com.au (check here) you do NOT need to purchase this resource it is free on the handbook site (visit the ‘Things to Print’ page). ‘Senior School Success’ is the fifth resource available in the ‘Helping students be Effective Learners Program’. This resource targets parents who have a child in senior school (usually Year 11 or 12 depending on your school system). If you want to help your child achieve their personal best in their last years of school, this 10 page resource is for you. If your school subscribes to www.studyskillshandbook.com.au (check here) you do NOT need to purchase this resource it is free on the handbook site (visit the ‘Things to Print’ page). ‘Mastering Middle School’ is the sixth resource available in the ‘Helping students be Effective Learners Program’. This resource targets students in middle school (usually Years 8-10 depending on your school system). If you want to help your student achieve their personal best in middle school, this 10 page resource is for you. If your school subscribes to www.studyskillshandbook.com.au (check here) you do NOT need to purchase this resource it is free on the handbook site (visit the ‘Things to Print’ page). ‘Preparing for Exam Blocks’ is the seventh resource available in the ‘Helping students be Effective Learners Program’. This resource focuses on helping students prepare for a block of examinations. If you want to help your students prepare effectively for exam blocks this 10 page resource is for you. If your school subscribes to www.studyskillshandbook.com.au (check here) you do NOT need to purchase this resource it is free on the handbook site (visit the ‘Things to Print’ page). ‘Goal Setting' is the eighth resource available in the ‘Helping students be Effective Learners Program’. This resource focuses on helping students set and achieve goals. If you want to help your students with goal setting this 10 page resource is for you. If your school subscribes to www.studyskillshandbook.com.au (check here) you do NOT need to purchase this resource it is free on the handbook site (visit the ‘Things to Print’ page). ‘Managing Stress' is the ninth resource available in the ‘Helping students be Effective Learners Program’. 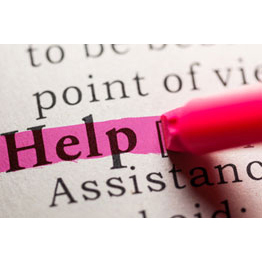 This resource focuses on helping students manage stress. If you want to help your students manage their stress this 10 page resource is for you. If your school subscribes to www.studyskillshandbook.com.au (check here) you do NOT need to purchase this resource it is free on the handbook site (visit the ‘Things to Print’ page). ‘Improving Reading Skills' is the tenth resource available in the ‘Helping students be Effective Learners Program’. This resource focuses on helping students improve reading skills. If you want to help your students in this area this 10 page resource is for you. If your school subscribes to www.studyskillshandbook.com.au (check here) you do NOT need to purchase this resource it is free on the handbook site (visit the ‘Things to Print’ page). ‘Improving Writing Skills' is the eleventh resource available in the ‘Helping students be Effective Learners Program’. This resource focuses on helping students improve their writing skills. If you want to help your students in this area this 10 page resource is for you. If your school subscribes to www.studyskillshandbook.com.au (check here) you do NOT need to purchase this resource it is free on the handbook site (visit the ‘Things to Print’ page). ‘How to study for tests and exams' is the twelfth resource available in the ‘Helping students be Effective Learners Program’. This resource focuses on helping students improve their test and exam studying skills. If you want to help your students in this area this 10 page resource is for you. If your school subscribes to www.studyskillshandbook.com.au (check here) you do NOT need to purchase this resource it is free on the handbook site (visit the ‘Things to Print’ page). ‘Test-taking techniques' is the thirteenth resource available in the ‘Helping students be Effective Learners Program’. This resource focuses on helping students improve their test-taking skills. If you want to help your students in this area this 10 page resource is for you. If your school subscribes to www.studyskillshandbook.com.au (check here) you do NOT need to purchase this resource it is free on the handbook site (visit the ‘Things to Print’ page). ‘Science Skills’ is the fourteenth resource available in the ‘Helping students be Effective Learners Program’. This resource focuses on helping students improve their science skills. If you want to help your students in this area this 12 page resource is for you. If your school subscribes to www.studyskillshandbook.com.au (check here) you do NOT need to purchase this resource it is free on the handbook site (visit the ‘Things to Print’ page). ‘Mathematical Skills’ is the fifteenth resource available in the ‘Helping students be Effective Learners Program’. This resource focuses on helping students improve their test-taking skills. If you want to help your students in this area this 12 page resource is for you. If your school subscribes to www.studyskillshandbook.com.au (check here) you do NOT need to purchase this resource it is free on the handbook site (visit the ‘Things to Print’ page). ‘Foreign Language Skills’ is the sixteenth resource available in the ‘Helping students be Effective Learners Program’. This resource focuses on helping students improve their foreign language skills. If you want to help your students in this area this 12 page resource is for you. If your school subscribes to www.studyskillshandbook.com.au (check here) you do NOT need to purchase this resource it is free on the handbook site (visit the ‘Things to Print’ page). ‘Presentation Skills’ is the seventeenth resource available in the ‘Helping students be Effective Learners Program’. This resource focuses on helping students improve their presentation skills. If you want to help your students in this area this 12 page resource is for you. If your school subscribes to www.studyskillshandbook.com.au (check here) you do NOT need to purchase this resource it is free on the handbook site (visit the ‘Things to Print’ page). 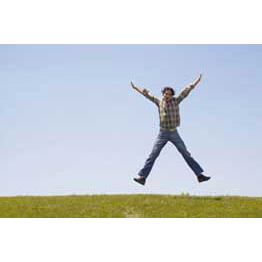 ‘Lifestyle and Balance’ is the eighteenth resource available in the ‘Helping students be Effective Learners Program’. This resource focuses on helping students improve their lifestyle and balance. If you want to help your students in this area this 12 page resource is for you. If your school subscribes to www.studyskillshandbook.com.au (check here) you do NOT need to purchase this resource it is free on the handbook site (visit the ‘Things to Print’ page). ‘Using Classtime’ is the nineteenth resource available in the ‘Helping students be Effective Learners Program’. This resource focuses on helping students improve the time they spend in class. If you want to help your students in this area this 12 page resource is for you. If your school subscribes to www.studyskillshandbook.com.au (check here) you do NOT need to purchase this resource it is free on the handbook site (visit the ‘Things to Print’ page). ‘After Tests and Exams’ is the twentieth resource available in the ‘Helping students be Effective Learners Program’. This resource focuses on helping students improve their work skills after tests and exams. If you want to help your students in this area this 12 page resource is for you. If your school subscribes to www.studyskillshandbook.com.au (check here) you do NOT need to purchase this resource it is free on the handbook site (visit the ‘Things to Print’ page). ‘Live Your Best Life’ is the twenty-first resource available in the ‘Helping students be Effective Learners Program’. This resource focuses on helping students to live their best life. If you want to help your students in this area this 12 page resource is for you. If your school subscribes to www.studyskillshandbook.com.au (check here) you do NOT need to purchase this resource it is free on the handbook site (visit the ‘Things to Print’ page). ‘Preparing for High School’ is the essential ‘what-you-need-to-know’ resource for all students approaching the transition from primary school to secondary school. For use at school or for students to work through at home with parents. To help students' transition successfully from Year 6 to Year 7 (40 pages). 'Secrets to Senior Success' is the perfect resource to help students understand how to deal with the challenges of the senior years. Can be given to students to use independently or used in form class at school or at a study skills day (44 pages). Transform your study skills and move results to the next level with the ELES Study Skills worksheets! Packed with tips and techniques to help students learn ways to improve their approach to their learning. For use in form class at school or at a study skills day (40 pages). Transform your study skills and move results to the next level with the ELES Study Skills worksheets! Packed with tips and techniques to help students learn ways to improve their approach to their learning. Can be given to students to use independently or used in form class at school or at a study skills day (40 pages). 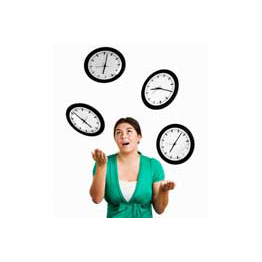 Learn how to be more efficient and effective and make the most of your time. These Time Management Technique worksheets will help you develop practical time management strategies to deal with issues like procrastination, distractions and an ever increasing workload. Can be given to students to use independently or used in form class at school or at a study skills day (40 pages). This Examination Preparation Workbook steps students through the stages to prepare effectively for tests and exams. Can be given to students to use independently or used in form class at school or at a study skills day (40 pages). Help students improve their results in Mathematics by learning tips and techniques to approach this subject effectively. Can be given to students to use independently or in a Mathematics class (over 40 pages). Help students prepare for examinations with the ELES Effective Exam Preparation DVD (includes accompanying worksheets). For use in form class at school or at a study skills day. An online and interactive resource and learning experience to help secondary students develop and improve their study skills. See a personal MESSAGE and video from Prue. All prices on this page are in Australian Dollars (AUD). PREFER TO SUBSCRIBE TO THE INTERACTIVE ONLINE ELES STUDY SKILLS HANDBOOK WEBSITE INSTEAD OF COPYING WORKSHEETS? Click here. These products are for teachers and schools to purchase, parents looking for resources to use with their child should visit the PERSONAL & INDIVIDUAL USE page. ORDERING: Order online by clicking on a product and following the prompts. Australian schools can also PRINT AN ORDER FORM to fax, or just email what you’d like to info@enhanced-learning.net. VIEW PRODUCTS: To view on approval versions of the products, email info@enhanced-learning.net. SAMPLE PAGES: You can also view SAMPLE pages for each product. ABOUT PDF: Read about PDF format and replacement policies. COPYRIGHT: Read the full COPYRIGHT conditions. PAYMENT: Schools may choose to pay later (i.e. receive an invoice with their order to send to their accounts department) or to pay now (by Paypal or credit card - via the Paypal site). PRICING: Each 40 page resource is supplied in PDF format only and is priced at AUD$99.00 per resource (except for Secrets to Senior Success, priced at AUD$198) and 10 page HELP Guides are priced at $29. This includes GST and blackline master photocopy rights for the school and resources are emailed to you within 24 hours. Read about PRICING and specials.